Home/Retirement/Practical Retirement Withdrawal Strategies Are Important! Planning for retirement is important. 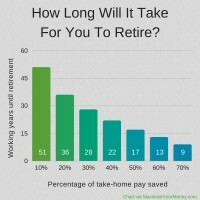 Fortunately 60% of working Americans are saving something toward their retirement. Do you know what the top concern is once people reach retirement? It’s the fear of outliving their income. Yes, they worry about running out of money. That’s why practical retirement withdraw strategies are important! Are you still pretty far from retiring? Well don’t go anywhere because this information can have an impact for you too! Understanding and planning your drawdown can have an effect on the age in which you retire and how much of a nest egg you’ll need to cover living expenses in retirement. There is not a one-size-fits all solution for drawing down investments and spending in retirement. Oh, if only there was! Lately a number of people in the financial independence space have written about their retirement withdraw strategies. 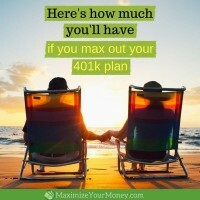 (I’ve linked to a number of them near the end of this post if you want to check out how other people plan to manage their retirement spending.) Seeing their plans in writing has motivated me to type out our plan and share it. Something of note about all these different strategies though: Most of them are future plans. But Karla and I are living it right now. A well thought-out retirement strategy is key for us RIGHT NOW or we could potentially burn through our money way too quickly. 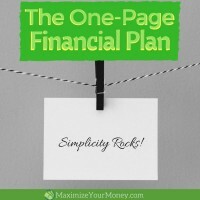 So, here it is: our Maximize Your Money retirement withdraw strategy. What do we consider retirement assets? We don’t look at our total net worth as part of our retirement drawdown plan. For example we don’t consider the values of our house or RV which are paid-for. I know that some people consider everything in their retirement withdraw strategies but it’s our preference not to. If something goes wrong with our plan(*) we can change our perspective on one or more of these assets, but for now we just ignore those illiquid items in the plan. Honestly, financial planning is about ruthless prioritization and adjusting to life situations. There are no absolute guarantees. Investments might do better or worse than planned. We try to take care of ourselves but honestly have no idea what might happen to one of us in the future. We might want to travel more someday. Or we could get tired of traveling and cut that out of the budget. We just don’t know for sure what the future will hold. Neither do you. And that’s okay. Make a plan based on the best data available at the moment and make adjustments in the future as needed. It’s all you can do – and it’s perfectly fine. You can see we don’t own any bonds right now in our investments. We do hold about 10% in cash though. We also have about 1% of our money in an HSA account. This is a key part of our retirement drawdown planning. Stock market corrections happen. In fact market down cycles happen every few years and tend to last 18-24 months on average. Before you get scared though, remember that, even with all these swings over the years, the market still has a cumulative average return around 10%. Retired investors need to be prepared for these situations. We don’t want to get caught in a market of under-valued stock prices and be forced to sell. To help us avoid that we hold between 2-3 years worth of living expenses in cash. When markets correct again we’ll sit tight and spend down our cash while waiting for the recovery to begin. Once the market recovery starts then we’ll draw from investments to replenish our cash reserves. We can technically spend from the HSA account anytime we have qualified medical expenses. But since the HSA works very similar to a Roth-IRA – no taxes on growth or withdraws in retirement – we’ll let that sit for as long as we can. We’ll also continue adding to this in the future as much as allowed. I’ve documented our specific investment portfolio here. You can see that we are 100% stocks to maximize the return and growth potential of our investment accounts. This aggressive allocation isn’t for everyone though. Mathematically it is the best, but some people just can’t handle it emotionally. If you panicked and sold during any of the past downturns, 100% stocks isn’t for you. Investors who can’t ride out the swings without selling likely need to temper their portfolio with some bonds or other conservative investments. Not all of our retirement money is in retirement accounts. When money is withdrawn from these accounts during retirement the entire amount taken out is taxed as regular income. Makes sense since no income taxes were paid on it initially. The downside to IRAs (and 401ks, etc) is that you cannot access the money prior to turning 59 1/2 without paying a penalty. Someone with serious plans toward early-retirement – sooner than 59 1/2 – needs to keep this in mind. For early-retirement situations the investor will want to find a balance between the tax-advantaged IRA accounts and accounts that can be accessed at any time. The rest of the money is invested in a taxable investment account. Since we don’t hold any bonds, we don’t have interest payment income (which is taxed higher than qualified dividends). We do pay taxes on dividends, but most of them are qualified dividends taxed at a low rate. Taxes are also due when investments are sold, but only on the amount of the GAINS. Since we paid taxes on the initial deposits we don’t get taxed on them again. Also, as long as we hold the investments at least a year they are considered long term capital gains and have a very low tax rate. So what’s our 2.5-step plan during early-retirement? 1. First we have our target amount. Since we budget we know exactly how much money we’ll need to support ourselves. For us the annual budget target is $75,000. 2. Since we’re younger than 59.5 we’ll need to take that money out of our taxable investment accounts. The plan is to withdraw a year’s worth of living expenses and put it in our cash reserves each May. 2b. If the market is in correction mode (down 10% from peaks) we will pause withdraws and live off our cash. As mentioned, we hold 2-3 years worth of cash. It’s three years worth right after a withdraw and we spend it down over the next 12 months. If the market is correcting, we have two year’s of cash to use – longer than the average time until a recovery starts. 3…. there is no 3 right now with our early-retirement plan. This will adjust some once we hit 59 1/2 though. More on that below. One thing that can get tricky is tax planning. We of course want to minimize the amount of taxes that we have to pay each year. The goal is to pay as little as legally possible. Since we don’t have any “earned income” right now, we start in a 0% tax bracket. We’ll have dividends that are taxed and any gains on investments we cash-in will get taxed. Here’s the thing: If you are in the 15% tax bracket, long-term capital gains and qualified dividends are actually tax-free! Yes, a 0% tax on them (at least in 2017). So the goal will be to minimize our income to stay within the 15% tax bracket and minimize taxes. Easy, right? Because we don’t have earned income. A married couple filing jointly can have up to $75,900 (2017) of earned income and still be in the 15% tax bracket. We don’t have any earned income, so our plan is to create some. No, not by working, but by doing an IRA->Roth conversion. Since money in an IRA was never taxed, when you withdraw it or convert it, it is treated as normal income for tax purposes. 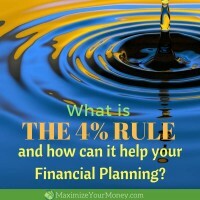 Our plan is to work with our accountant to determine the most we can roll over from an IRA into a Roth IRA and still remain in the 15% tax bracket. I have a hard time thinking we’ll have future opportunities to pay less than 15%, so I’d like to “lock in” that rate now as much as we can. Without getting too deep into Roth IRAs with this post, I’ll just summarize to say that money in a Roth IRA grows tax-free forever. Taxes are not owned when money is withdrawn beyond age 59 1/2 – not on the original money OR the gains. Roth-IRAs also don’t have required minimum withdraws like IRAs do at age 70. So there are a number of reasons it makes sense to pad the Roth when possible. What’s our plan during standard-retirement? Once we hit 59.5 things change a little bit because we can access the IRA money when we want. The plan mostly stays the same but we’ll spend more time figuring the best way to minimize taxes. Instead of rolling money into a Roth, we’ll take strategic distributions from IRAs – still trying to hold onto the 15% tax bracket. Over time our investments will continue to grow – as will our dividends. This might create some challenges getting the $75k (inflation adjusted) we need but staying in that ideal 15% tax bracket. I don’t know the answer just yet, but it will be a balance of drawing from an IRA, a taxable account, and possibly the HSA or Roth if a top-off is needed. We won’t know the details until we get right to the point, but I know there will be a “best” (tax optimized) manor in which to draw down from the accounts. Do you know how much you are on track to get in Social Security benefits? 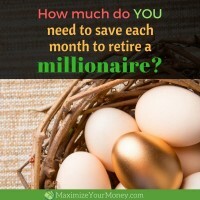 If not, check on this post that shows exactly how to estimate your benefits. We’re aware of our potential benefits and our goal is to delay taking Social Security as long as possible. The difference in amounts from taking benefits at 62, 67 (our full retirement age), or 70 are huge. Current estimates show we won’t “need” that money, so we plan to defer it. That said, as mentioned above, plans could change and we might shift tactics. This is another area where we’ll have some buffer to adjust if needed. Here are some different perspectives for you to consider. Everyone’s situation is a little different so it’s interesting to read how others manage their finances. 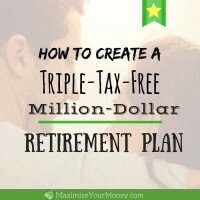 The bloggers in this list share on topics like budgeting, investing, saving money, and of course retirement – early or not. Lots of great information here if you want to check any of them out. 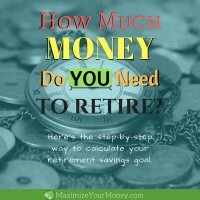 13: Retirement Starts Today: What’s Your Retirement Withdrawal Strategy? Do you have a retirement plan in place? Are you executing on it consistently? How about a drawdown plan for when you reach retirement? Share your thoughts below – we’d love to hear from you. I’ve enjoyed reading all of these drawdown strategy articles. They’re giving me a lot of great ideas. I’m early enough in the process that I haven’t put together a plan yet. At this point the goal is just to save and invest as much as possible. How did you get involved in investing in startups? That sounds like a really cool way to give back to the community while essentially buying lottery tickets for some potential gains. Hi Matt. Thanks for commenting. I started my own business, grew it quite nicely, and had a decent exit a few years ago. So I’ve been plugged into that scene for many years. After my exit I decided to invest in (and coach) some local founders who I thought had potential. It’s hard (but not impossible) to go it alone, so I try to help out if I can. You need to be prepared to lose 100% of the investment though. It’s VERY risky. Great to have you on “The Chain Gang” in this Retirement Withdrawal Strategy series! Your plan sounds solid, especially the Roth Conversion ladder before reaching Age 59.5. We’re hoping to get an update from folks in “The Chain” in ~1 year to see how folks’ plans are working out. Looking forward to seeing how this works for you, thanks for jumping in! Hi Fritz – thanks for stopping by! We’re actually a year into our plan already. So far, so good. But it’s also been a really good year in the stock market. What will be telling is how well we do during the future market corrections. I think it will be fine but you really don’t know until your in the midst of a situation like that. Welcome to the chain gang. You might have the most aggressive drawdown strategy on the list. Investing in start-ups could have substantial gains if they are successful. Congrats on reaching retirement. I hope you make the most of it. I’m still working through my plan as it’s based on when I retire and if I count my pension which I hope will still be around. If not, then it will seriously put a dent in what I think I’ll need in life. So I have been working to see what would happen if I don’t have to depend on it. So still working on the plan. Nothing wrong with a plan-in-progress MSM! Thanks for stopping by and sharing. Interesting! I applaud you for having such a high stock percentage – we don’t have nearly that much moxie. 🙂 We are doing about half bonds have stocks now, 40/60 to be exact. That’s about as high of a stock allocation as we will go. Mostly for emotional reasons, as you mentioned. Yeah, the emotional side of the equation can be big. It definitely needs to be considered when putting together an investment portfolio allocation. 100% stock isn’t for everyone, that’s for sure! 🙂 Thanks for stopping by Laurie! We are still around 6 years away from leaving the 9-to-5 world. Our traditional retirement accounts are in very good shape. That said, we really need to increase our taxable accounts to cover 8 to 9 ‘gap years’ before we turn 59 1/2. Like you, we plan on performing Roth IRA conversions during those gap years. I’m also considering 3 to 5 years of living expense through a combination of cash and bonds. I want plenty of time to ride out a bear market. Sounds like a great plan N2S! Being able to ride out a bear market is a large key to investing success! This is a Great article on how to plan an early retirement. I was too much worried about my early retirement and researched a lot and finally got a firm named Retirocracy. Their team came up with some amazing retirement plan solutions for me. Everyone has a unique situation in this case… what specific holdings, where they are held (IRA, taxable, Roth, TSP, etc.) so it’s hard to have a generic answer. For me personally my goal is to minimize taxable income right now in this season of life. So I look to balance winners and losers to offset capital gains. As part of that I also consider my target allocation though – and try to sell at least some holdings that have grown beyond my target holding range. Hope that helps, at least a little. To get guidance on your specific situation you might want to work with a planner who can help model out the impact of various plans.